There is a linear characteristic and a common nonlinear characteristic in the energy differences associated with many lanthanide and actinide electronic configurations involving a change of the number of f electrons by one. The differences of energy, ΔdE(q), between the lowest energy levels of the two principal electron configurations in the gaseous atoms of the lanthanide and actinide series exemplify these characteristics. By assuming that the common nonlinear characteristic involves only electrostatic and spin–orbit interaction-energy differences between the parent f-electron core configurations, we obtain linearization functions—one for the lanthanide series and one for the actinide series— which linearize the ΔdE(q) data. These same linearization functions are found to be applicable to the energy differences between most electronic configurations involving the same number of f electrons, including the neutral, the singly, the doubly, and the triply ionized gaseous lanthanides and actinides, independent of the nature or number of valence electrons. Energy (103 cm−1) of the lowest level of some electronic configurations in Ln i lanthanides relative to E(fq+1s2). a J. Wyart, C. R. Acad. Sci. (Paris) 273, 763 (1971). Energy (103 cm−1) of the lowest level of some electronic configurations in Ln ii lanthanides relative to E(fq+1s). Energy (103 cm−1) of the lowest level of some electronic configurations in Ln ii lanthanides relative to E(fq+1). a The slope (E − A′)l was taken from Fig. 5 and Wl was selected to give the best agreement between the measured and calculated values at q = 1 and at q = 2. Energy (103 cm−1) of the lowest level of some electronic configurations in Ln iii lanthanides relative to E(fq+1). b E. Meinders, Th. A. M. Van Kleef, and J. F. Wyart, Physica 61, 443 (1972). 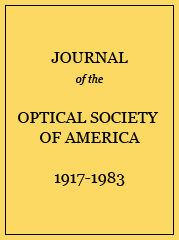 c N. Spector, J. Opt. Soc. Am. 63, 358 (1973). Energy (103 cm−1) of the lowest level of some electronic configurations in Ln iv relative to E(fq+1). a J. F. Kielkopf (private communication of new and as yet unpublished results). Energy (103 cm−1) of the lowest level of some electronic configurations in An i actinides relative to E(fq+1s2). a The value of Wa for E(fqd3) was taken to be the average of the Wa’s for E(fqd2s), E(fqds2), E(fqdsp), and E(fqps2), as is approximately true for the analogous Ln i series. (E–A′)a was taken from Fig. 6.
b Wa was estimated from the observed E(d2p) to E(ds2) and E(d2s) energy separations in Ac i. (E–A′)a was taken from Fig. 6. Energy (103 cm−1) of the lowest level of some electronic configurations in An ii actinides relative to E(fq+1s). a (E–A′) was taken from Fig. 6. Wa was selected so that the measured and calculated values agree for U ii. b These values are our estimates based on the adjacent calculated values for the well-behaved E(fqps) and E(fqs2) series and the measured values of the respective E(fqd2), E(fqds), E(fqps), and E(fqs2) levels relative to the ground state. The measured values here were obtained from Ref. 4.
a (E–A′)a is 1.25 times the analogous (E–A′)l value. Wa was selected so that the measured and calculated values agree for E(fqs) and E(fqp). For E(fqd), Wa was selected so that the calculated value at q = 0 is biased 5×(103 cm−1) below the mea­sured value. Energy (103 cm−1) of the lowest level of some electronic configurations in An iii actinides relative to E(fq+1). a Wa was selected so that the measured and calculated values agree at the q = 1 point (Th) with (E–A′)a 1.25 times the analogous (E–A′)l value. Energy (103 cm−1) of the lowest level of some electronic configurations in An iv actinides relative to E(fq+1). a Wa was selected so that the measured and calculated values at q = 0(Th) differed by an estimated 5 × (103 cm−1) bias. (E–A′)a is 1.25 times the analogous (E–A′)l value. b Wa was chosen so that the measured and calculated values agree at q = 0(Th). (E–A′)a is 1.25 times the analogous (E–A′)l value. Linearization parameters (E–A′)l and Wl for the lanthanide series. a n is the number of measured differences including the q = 0 value where available. b See Ref. 2 for the analyses that lead to this result. c The value in parenthesis is estimated from a linear relationship in Fig. 5. Linearization parameters (E–A′)a and Wa for the actinide series. c These values in parentheses are estimated from the linear relationship of Fig. 6.
d These values in parentheses are estimated as indicated in the footnote of Table VI. e These values in parentheses are simply 1.25 times the analogous (E–A′)l values of Table XI.